A little-known, but key component in the process of making cosmetics, pharmaceuticals, food products and more are chemical compounds called phytochemicals, especially when produced in their purest form, when they are called reference substances or standards. French-based company Extrasynthese is a leader in this field. Extrasynthese creates herbal standards for use in any field that requires these substances for the purposes of research and development, quality control and testing. Used in the pharmaceutical or food industries, standards are best understood as being substances which can be used to provide a basis for assessing the biological effects of a new drug or product by measuring or comparing them against the standard. Thanks to its 30 years of experience in this sector, the company, based in the French life sciences hub of Lyon, has built up a massive catalogue of hundreds of phytochemical and herbal standards – all produced using top of the range technology. 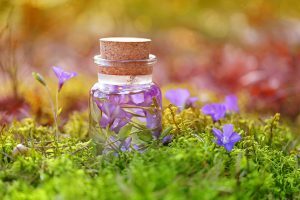 The selection available covers an extensive range of standards derived from plants as diverse as tarragon, heather, Californian poppy and Siberian ginseng. You may never have heard the term ‘phytochemical substance’ before, but such substances have a major role to play. They are widely used in agriculture and agronomy and the production of neutraceuticals, dietary supplements, cosmetics, healthcare products and pharmaceuticals, not to mention flavours and fragrances. As reference substances or materials, they help businesses, scientists and academics to conduct research, develop new products, adhere to regulatory requirements and carry out tests. ‘Phytochemical’ simply refers to the chemical compounds naturally produced by plants for defensive purposes. A new partnership with leading botanical identification company Botanicert has enabled Extrasynthese to expand its range of phytochemical standards. Flavonoids, polyphenols, terpenes, carotenoids, tocopherols and anthocyanins are just some of the plant-based compounds on offer worldwide, either directly from Extrasynthese or through its network of distributors. « Are ultrasound probes going to be more widespread?